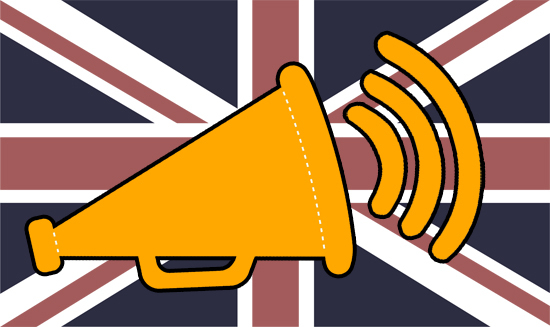 The British government announced that it will begin regulating the country's press. It is seldom, David Hume once observed, that liberty of any kind is lost all at once. It ebbs away slowly in barely noticeable diminutions until, suddenly, it is gone. Consider free speech. It is difficult to remember not only how rare it is as a historical phenomenon—how long and bitter of achievement—but also how fragile. A visit to any college campus will convince you that, in this country at least, free speech is much more curtailed today than it was, say, fifty years ago. The range of subjects that are entirely verboten, or about which it is permissible to have only one opinion, is large and growing. Political correctness, combined with the illiberal instincts of most of those calling themselves “liberals” today (and the spinelessness of those superintending the institutions), accounts for that curious deformation. But free speech is under serious assault in other citadels of freedom as well. England is the cradle of modern political liberty. Since 1695, when the 1662 Licensing of the Press Act was not renewed by Parliament, it began to nurture a fourth estate conspicuously free from official government censorship (the preferred word today is “regulation,” which to some ears sounds softer than “censorship”). It wasn’t until 1765 that the power of the secretary of state to haul an author or proprietor of a newspaper before the Star Chamber was declared illegal. Since that time, the British press has been gloriously, and sometimes ingloriously, rambunctious, delighting in scandal, airing the dirty laundry of ministers and other worthies with cheery abandon, checked chiefly by Britain’s strict libel laws. All of that is about to change. In the wake of serious journalistic malfeasance, in which reporters illegally hacked into mobile phone accounts to retrieve messages, there has been a hue and cry among some enemies of liberty to curtail the freedom of the press. The fact that the journalists were preying on celebrities—ministers, the Royal Family, movie stars—was bad enough. But the incident that really sparked widespread outrage was when journalists left messages on the mobile phone voice mail of a girl who had been abducted and murdered, thus giving her parents false hope that she was still alive while giving the twisted reporters a melodramatic story to splash over their front pages. On March 18, the British public got its answer. After various late-night confabulations among Labour, Liberal Democrat, and Tory officials, Prime Minister David Cameron announced that it would be the Guardians who would be guarding the Guardians. He was not, he insisted, attempting to govern the press by legislation. He had merely agreed to setting up an official newspaper regulator, replete with enabling legislation, under a Royal Charter. While you endeavor to understand how that differs from empowering the state to censor the press, you will be gratified to learn that Mr. Cameron, after repeatedly promising not to give in to Labour and Lib Dem demands that the Press be subject to statutory oversight, merely gave in to demands that the press be subject to statutory oversight. Only we mustn’t call it statutory oversight. Perhaps they should just call it a “Licensing of the Press Act” and be done with it. Who still knows about its predecessor? is inseparable from the proper use of every thing, and in no instance is this more true than in that of the press. It has accordingly been decided by the practice of the States, that it is better to leave a few of its noxious branches to their luxuriant growth, than, by pruning them away, to injure the vigour of those yielding the proper fruits. And can the wisdom of this policy be doubted by any who reflect that to the press alone, chequered as it is with abuses, the world is indebted for all the triumphs which have been gained by reason and humanity over error and oppression. Behind all the sanctimonious rhetoric of the campaigners for curbs on freedom of the press is the menacing countenance of state power. Abuses of freedom there will always be. But Madison was right: they are preferable to the abuse of power that follows the forfeiture of freedom.